Creating jobs for the educated youth is a daunting task for any government in Uttar Pradesh. Given the vastness of the state and its huge population, the UP government is saddled with a host of socio-economic problems. For the Chief Minister Akhilesh Yadav, the rising unemployment is not just a big challenge but may pose an existential risk to his post as the top CEO of Uttar Pradesh. The big fear is that if the educated unemployed are not given a decent occupation, then there is every possibility that Uttar Pradesh will witness a spurt in crime graph from petty brawls, street fights to smuggling, murder and even dacoity. The 66th round of the National Sample Survey Organisation (NSSO) report has projected the rise of the unemployed youth in UP in the age group of 15-35 at 1 crore by the end of the 12th Five-Year-Plan (2012-17). The estimated rise of the unemployed to 100 lakh (1 crore) by 2017 will be in addition to the backlog of around 32 lakh jobless youth who are in the queue according to the live registers in UP. The present reality of growing unemployment calls for a paradigm shift in planning and development before this menace reaches the unmanageable limits. 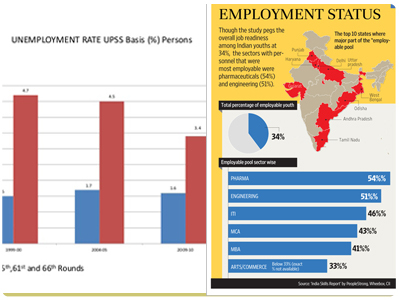 The unemployment problem may snowball into a widespread social tension leading to dejection among youths with far-reaching political consequences in Uttar Pradesh. Chief Minister Akhilesh Yadav represents a 'generational change' and owes his electoral success much to the youth who voted him to power. But the UP youths depend much on the government's ability to address the problem of unemployment which remains the core issue for job-seeking young population. What comes as a real surprise is the decline of agriculture workers at an alarming rate. There was a net decline of 50 lakh agriculture workers in the last 6 years or so (from 2009-2015) in Uttar Pradesh. The NSSO report cites that the number of total agriculture workers went down from 403 lakh in 2004-05 to 369 lakh in 2009-10 and 354 lakh in 2011-12. At present, only 52% of the total workers are now engaged in the UP's farm sector. Earlier it used to be as high as 78% of labour force getting employed in agriculture. There has been a constant decline in the number of agriculture workers, but the drop in their number was rapid from 2010 to 2015. The declining employment trend in agriculture continues and this is expected to dwindle further by 5-5.5% in 2014-15. Hence, the poor performance of the agriculture sector which is the mainstay of the state's economy has been a worrying factor as this leads to large migration of families to cities.The agriculture sector has grown at the rate of 3-4% from 2010-15 which is much below the overall potential of the state. The shift of workforce from agriculture to other occupations is a good sign, provided the workers are paid well and they are able to lead a decent life. But this is not the case in most conditions as the 'decent work' is available to only a minority of 9.72% workers displaced from the agriculture. Since 2004-05 the number of farm labourers who were able to get a decent job has shown a marginal increase from 9% to 9.72%. On the other hand, the number of casual labourers has risen from 100 lakh to 160 lakh (1.60 crore), which shows a sharp increase from 16.9% to 24%. The dismal situation of job availability in UP is further evident from the NSSO's fact-finding report. According to the report, the work participation rate in UP remains at 33.3%, while the total number of workers has gone up from 667 lakh in 2004-05 to 675 in 2011-12. Thus it shows that 67% of the total workforce in UP have to go without any work or have to fend themselves on pecuniary wages. This only shows that most of the UP labourers don't have a decent job conditions that contain security covers like medical or other risk insurance. The overall employment scenario in UP is quite depressing. The manufacturing sector that is vital for the economy has grown at snail's pace of 1.64% over a period of 5 years from 2010-15. The number of workers employed in the manufacturing sector has risen from 84 lakh in 2004-05 to just 86 lakh in 2011-12. However, if the base year is taken as 2009 -10, then the sector shows a sharp increase from 72 lakh to 86 lakh in 2011-12. As against the total workers in UP, the manufacturing sector employs 12.75%. Construction sector shows a continued increase but at a lower rate. It accounts for 12.64% of total workforce. The numbers rose from 37 lakh in 2004-05 to 79 lakh in 2009-10 and to 85 lakh in 2011-12. The period from 2005 to 2010 witnessed a large number of construction activities like Dalit memorials and parks under the Mayawati regime in UP. It is to be mentioned here that the structure of workforce in UP is undergoing a change in favour of non-agricultural sector. The proportion of workers employed in agriculture sector dropped to 11.5% during 1999-2012. The proportion of workers in manufacturing sector has shown a small increase of 1.64% during the period from 1999 to 2012. Construction sector, however, recorded an impressive gain of 8.8% in its share of workers from 2010 to 2012. Services also show a modest gain. Thus it is only the low-paid informal sector (construction) employment which has been increasing in the state. Ironically, the issue of unemployment remains a matter of polemics and needs a clear-cut strategy for generating jobs across the economic sectors. Even the growth pattern adopted by the state government is also not employment-oriented. For example, agriculture has witnessed a sharp mechanisation leading to displacement of farm labourers. 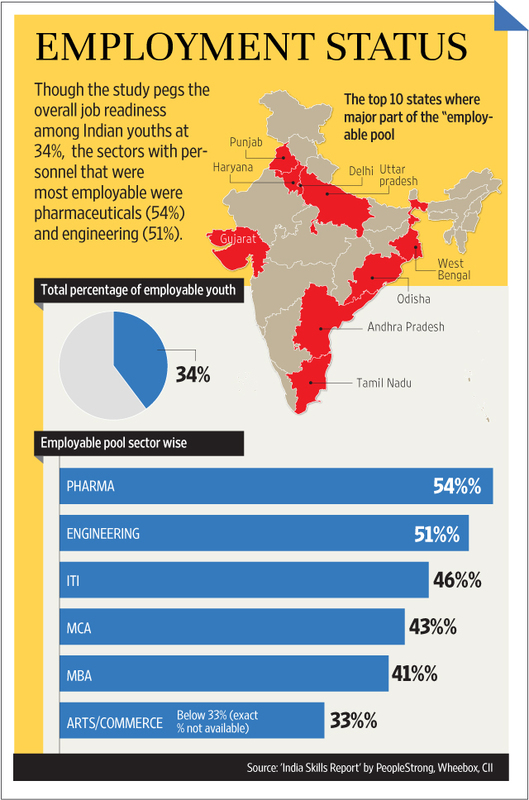 Industries are not being set up in large numbers to provide employment to lakhs of educated, but jobless youth in UP. Moreover, the much required focus on MSME (micro, small and medium scale enterprises) sector is lacking as the state government is keen on attracting only large industries which are coming. The agro-based industries like horticulture, food processing, fisheries, dairy and poultry farming are just at their infancy despite having huge potential. In the face of the prevailing situation, unemployment dole makes no answer to the vexed problem of job crunch. The media reports in September 2015 that over 23 lakh applications were received for 368 posts of peons in the UP secretariat is damning indictment of government's failed efforts to create employment. The job of a lowly peon in the UP government is much coveted by highly educated people including post-graduates and PhDs despite the presence of high-paying private firms shows the inability of the state to create new jobs. The applicants for peon's job included over 2 lakh graduates and post-graduates and even 255 doctorates according to media reports in September 2015. If even over-qualified persons are applying for peon's job in UP secretariat, then it reflects poorly on the employment scenario in the state. According to the Fourth Annual Employment and Unemployment Survey Report (2013-14) of the Labour Bureau, youth unemployment has decreased to 12.9% in 2013 from a high of 18.1% in 2012. 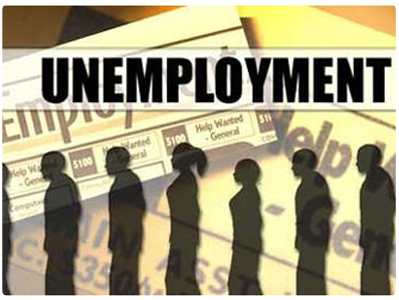 The youth unemployment averaged at 15.5% per cent between 2012 and 2013. The figure may be a bit encouraging statistically but it does not hide the grim reality. The other truth the statistics throws up is the way UP is producing graduates, post-graduates and even PhDs in a 'breeding farm' manner without any regard to quality. If the highly educated, but unemployed youth were good enough, there are decent enough jobs in the private sector which complains of lack of qualified manpower. Education being a state subject, the onus of quality education lies with states. All said and done, there is much demand for government jobs in Uttar Pradesh like in any other northern states as they have permanency of tenure. Lack of accountability, decent pay with annual increment and even promotion at times, all of which make a government job more desirable even among highly educated youth in Uttar Pradesh. The solution to the problems of unemployment and under-employment lie in better skill development of educated, but jobless youth. Almost 8 million people are registered with the government-run employment exchanges inUttar Pradesh as on November 2015. These employment exchanges had come under focus after the Samajwadi Party came to power in March 2012 and promised unemployment dole of Rs 1,000 per month to the registered. Following the drubbing in the May 2014 Lok Sabha polls, the government has discontinued the populist scheme by making no budgetary outlay for the unemployment doles. The count of registered unemployed in UP stands at 8 million roughly and still counting, though at a much slower pace due to the absence of doles. To facilitate jobs to a large number of jobless youth, the employment and training department has been organising job fairs at the exchange level to bring private companies and job-seekers together. Since 2012, over 48,000 registered youth had landed jobs in these job fairs as on November 2015 with a large number of private companies — both from the manufacturing and services sector — taking part in these events. According to statistics, 234, 594 and 230 job fairs were organised in the state employment exchanges during 2012, 2013 and 2014, wherein 8,201, 24,579 and 12,468 registered youth landed jobs respectively. Besides, 902 and 490 youth were placed directly by the exchanges during 2013 and 2014 respectively. These exchanges operate under the employment and training wing of the labour department of the state government. 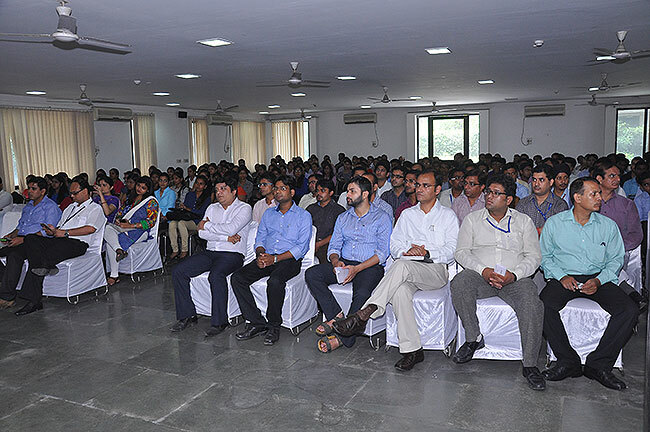 The job fairs cater to a wide-section of UP youth with educational qualifications starting from class V to BE and MBA graduates, besides the technically-skilled. The employment exchanges are making optimum use of social media platforms such as Facebook and WhatsApp to publicise job fairs and to shed the negative image associated with government departments. Akhilesh Yadav government is toying with the idea of making it mandatory for the government departments and private companies to inform exchanges about vacancies and its advertisement in newspapers.